Since most advances in computer science are tied to specific manufacturers, I decided to combine my history and hardware sections together. This section discusses some of the major events and major players, both past and present in the Hardware industry. Since the purpose of my adding pages is to relearn the Software skills I do know but in which I may be a little rusty. I will purposely keep this area short. Initially, I will just have a list of hardware producers, eventually, they will become links to the actual descriptions. If you can think of any I may have forgotten, please let me know. Also there is some cross-over between hardware manufacturers and software designers. There are some companies that will be mentioned in both categories. Cross references will be made. There are many ancient inventions that are interesting with respect to technological developments. Ancient Origins has an excellent description of ten technological advances of the ancient world. Also, Pierce Fuller has an interesting collection of non-electric adding machines. was the daughter of Lord George Gordon Byron and aristocratic Lady Anne Isabella Milbanke Byron. Lord Byron left his wife when he found out that the new baby was a girl. Normally girls were trained in the fine arts in the early 1800s, but Lady Ann wanted Ada to have nothing to do with the poetic arts of Ada’s father. Ada was extensively trained in mathematics and the sciences, even though she was not allowed to attend college at that time. One of her mentors was Charles Babbage, who showed her his differential Engine. Luigi Menabrea, an Italian engineer, wrote and article in French about Charles Babbage’s analytical engine. 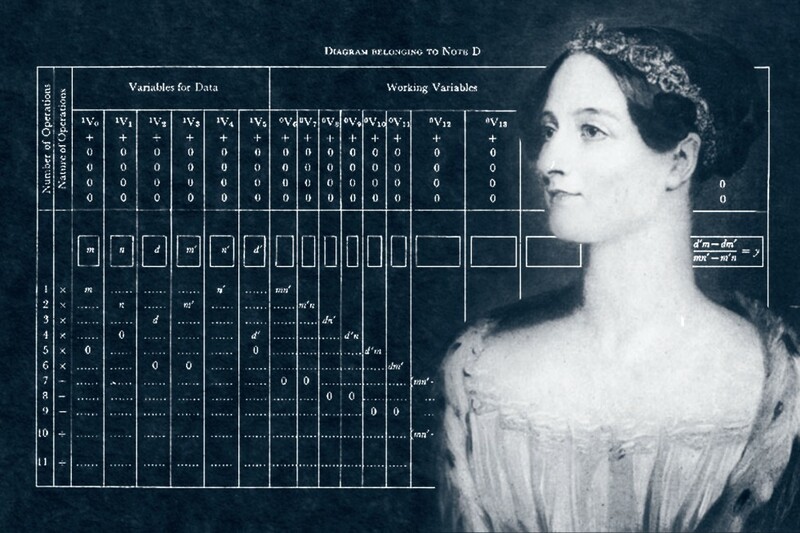 Ada was so fascinated by the article and the invention that she annotated the English translation of the article with instructions of how to “program” the analytical engine to perform Bernoulli numbers sequence creation. Her thoughts on the subject led her to believe that eventually such a machine could do far more than just mathematical calculations. Her work had been forgotten for about 100 years, until B. V. Bowden wrote “Faster than Thought” in 1953 and published her paper as a part of that book. Hollerith electric tabulating machine, 1902. Library of Congress, Washington, DC. In 1880, the US Census Bureau was realizing they were not going to be able to keep up with the analysis of the data due to the ever growing population of the United States. They put out a request for people to come up with ideas of how to analyze the Census Data. Three companies competed for the prize of handling the data analysis for the 1890 Census. 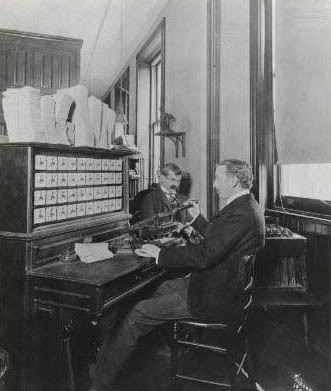 Herman Hollerith, a former Census employee, came up with the idea of using punch cards to store the data and then using card sorters to analyze certain columns of the cards for how the holes are punched. He then would use a card reader to gather the actual statistics. 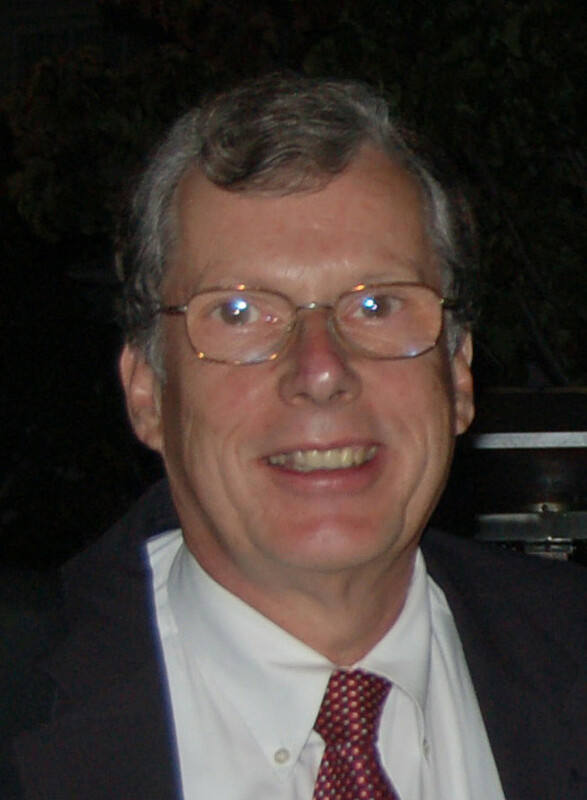 The card he invented was the size of a U.S. dollar bill in 1880 (bills have subsequently decreased in size). The interesting fact is that versions of his machines were used in every Census until 1950. In 1960 computers were used instead. His cards did continue on for several decades as Hollerith Cards used by IBM and other companies. I am sure everyone who went to school in the ’70s have found memories of using these cards. The US Census Bureau has an interesting article about the development of the Hollerith Machine. In the 1950’s and 1960’s Tektronix had a thriving oscilloscope business. In the early 1970’s they decided to use their technology to create some of the first graphic computers and terminals. They enlarged their green-on-the-screen cathode ray tube displays to create the basis for the 4081. One technology Tektronix had developed was to vary the intensity of the writing beam that put images on the screen. If the beam was a little more intense, the image created would last on the screen until the system was turned off or the program that displayed the image ended. This allowed the beam to only be used for the moving images instead of the fixed images. You can see a demo video at Vimeo of a 4081 Demo. You can easily tell which were the static and dynamic character and figures in the demo. One of the first demonstrations used was a flight simulator. Some of the engineers who wrote this simulation eventually ended up at Microsoft. The first flight simulator that Microsoft developed looked very similar to the one on the 4081. In fact the plane number on the instrument panel was 4081. I always wondered if there was any connection. At the same time they were developing the 4081 graphic computer, they were also developing the 4014 graphic terminal. The difference between the two was that the terminal depended on a server for completing all but the most basic graphic work.